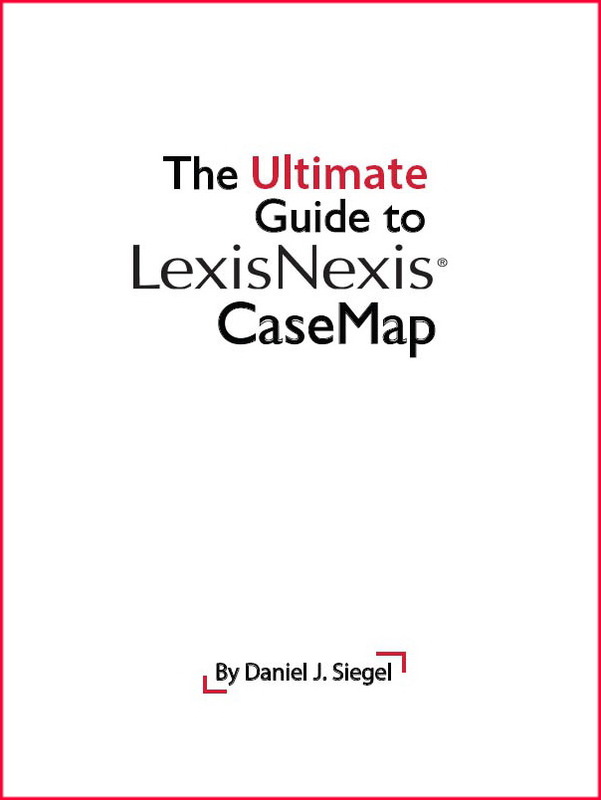 The Ultimate Guide to LexisNexis CaseMap is now available for purchase. 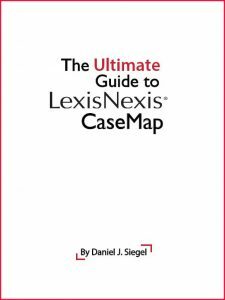 Authored by Attorney Daniel J. Siegel, the book is the definitive guide to users of CaseMap, the premier litigation analysis software. LexisNexis CaseMap makes analyzing cases easier and allows lawyers to do a better job for their clients – in less time. Click here to buy the book, which is available in .epub or .mobi formats. With material (including step-by-step instructions and numerous screenshots) for everyone from new users to advanced CaseMap users, the book explains how to use every feature in CaseMap, and also provides Dan Siegel’s unique insights into the program. Many consider Siegel to be the most advanced CaseMap user in the country; he often devises undocumented ways that allow users to get even more results from the software. Learn how to perform advanced searches, plus how to save and update your results instantly. Sometimes called the “Geek lawyer,” or the “high tech lawyer,” Attorney Dan Siegel is a practicing attorney (at the Law Offices of Daniel J. Siegel, LLC) and the founder of Integrated Technology Services, LLC, a consulting firm that helps law firms and small businesses improve their workflows with technology. Integrated Technology Services, LLC provides training, consulting and case review services for CaseMap, as well as consulting services for law firms. ← Ultimate Guide to Adobe Acrobat DC Is Now Available!